The NDP group has released its sales report for the month of December, along with announcing the top selling games of 2016 in the US. While the list only accounts for physical and digital sales, we have received more information than expected. Notwithstanding the common rundown of top-selling games (regarding dollar sales) over all platforms, it has also provided us with specific platforms on which the games sold for December. For example, this demonstrates that while Call of Duty: Infinite Warfare and Final Fantasy XV were the top two games, the latter was No. 3 on Xbox One, yet No. 1 on PS4. Infinite Warfare and Battlefield 1 (the No. 3 game on PS4) were the top two games on Xbox One. The report also incorporates a glance at the top-selling games for the whole year in the US, and Infinite Warfare – even with its business plunge – obviously proved to be the best. What may stand out most in this top game list are the two games to make the top 10 that were released before 2016: Grand Theft Auto V (No. 6) and Call of Duty: Black Ops III (No. 8). While it makes me happy to see two of my favorite games, it shows that there are quite a few games that couldn’t deliver to what they promised (No Man’s Sky). Total sales, including all hardware, software, and accessories, were down 15 percent year-over-year, from $3.2 billion to $2.7 billion, in the US amid December. Hardware saw the greatest drop, going from $1.24 billion in December 2015 to $994.9 million in December 2016. This might be due to the new Xbox One S and PlayStation 4 Pro, which did not manage to bring in the sales that were expected to. As far as the 3DS is confirmed, in terms of game sales, it has had a pretty good year. Nintendo managed to sell 7.3 million units in the US during the last three months of 2016, which can be due to games developed by Nintendo as a first party, which included new and old titles like: Pokemon Sun/Moon, Super Mario Maker, Mario Party: Star Rush, Mario Kart 7 and Super Smash Bros. 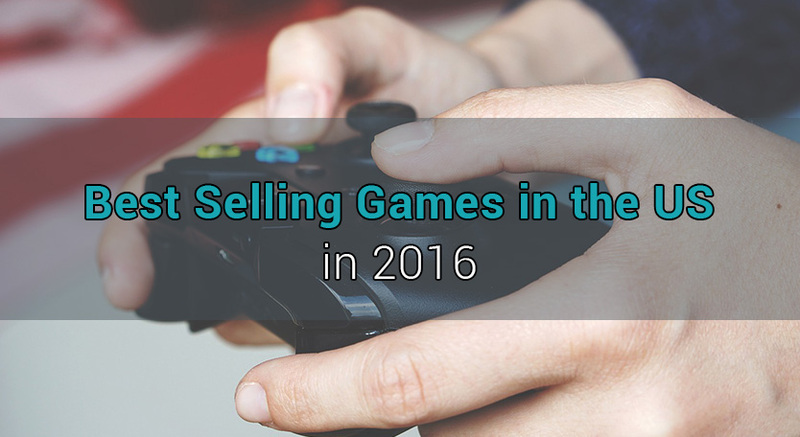 While 2016 has had a pretty good year gaming wise, a lot of good games are expected to be released in 2017 as well. Among them, there is Red Dead Redemption 2, Mass Effect: Andromeda, God of War (PS4), Star Wars Battlefront 2, Tom Clancy’s Ghost Recon Wildlands, Prey, For Honor and many more, following the successful release of Resident Evil 7: Biohazard on the 24th of January. All in all, whether you’re a console gamer or a PC one, you should hold on to your wallet because games will be coming left and right, and there’ll be plenty of them to choose regardless of your preferences and budget.